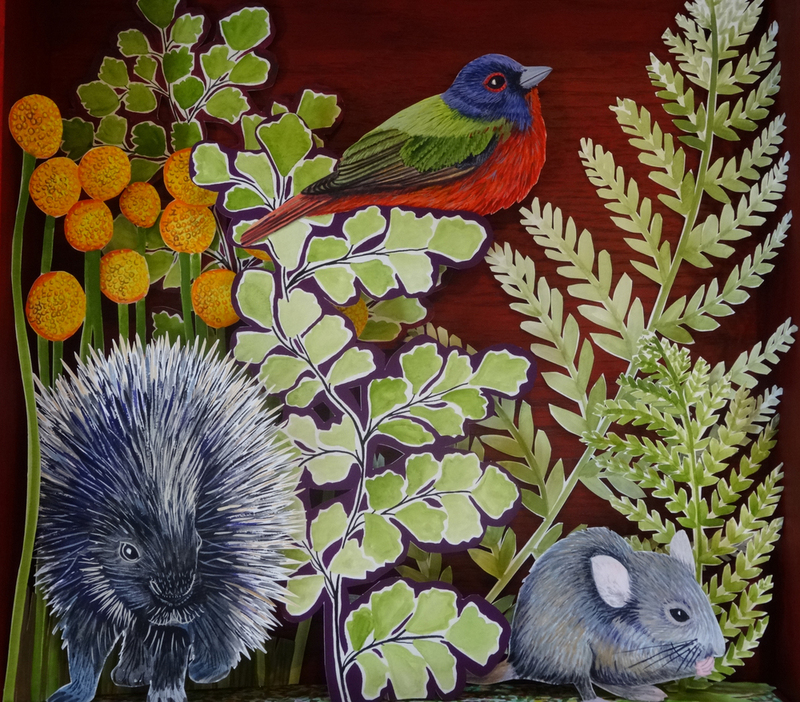 Elsie Berget is an artist residing in rural Wisconsin with her husband and dogs. 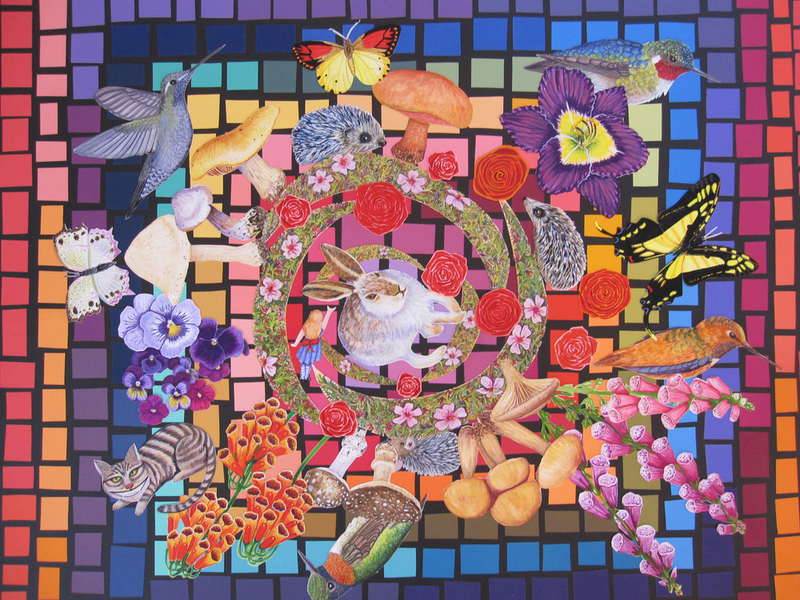 Her artwork is inspired by the nature her life is steeped in and the creative forces deeply rooted within her. 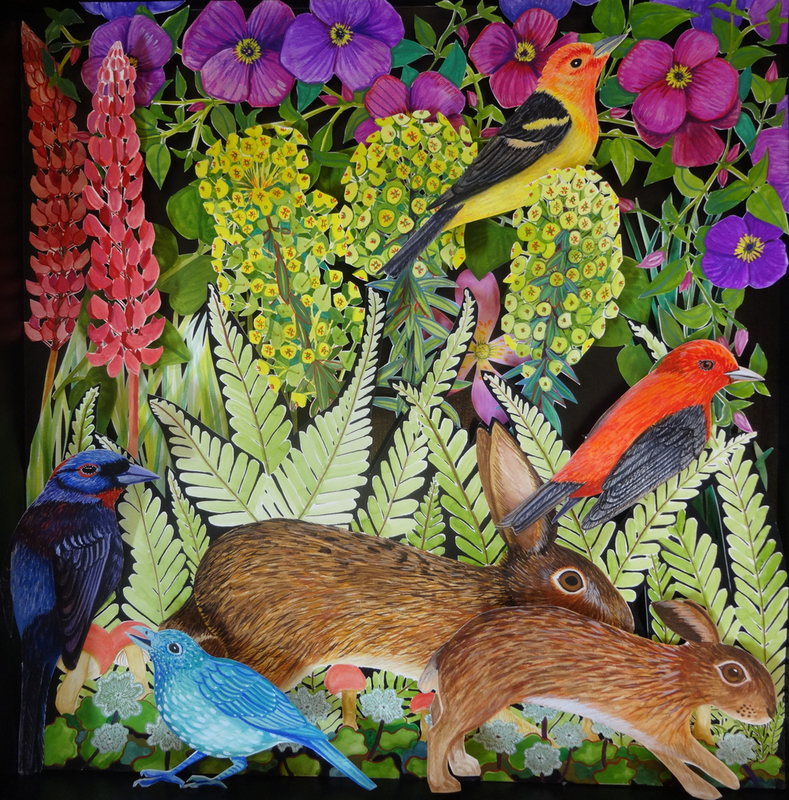 She works in gouache, collage, paper-cutting and any other material she can apply to her creative process to. 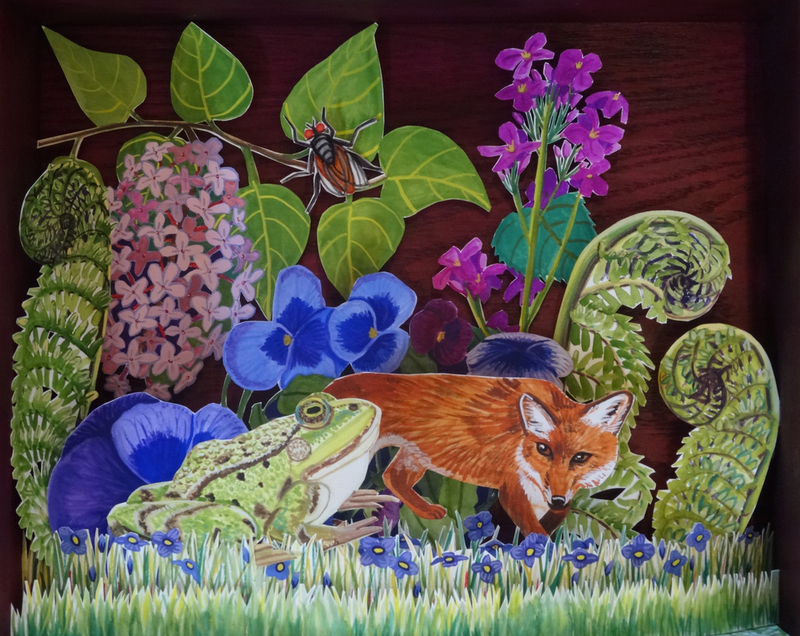 Elsie’s animals pop to life whether they are mingling with plants in the undergrowth of her imaginative shadow boxes, adorning the side of her Wonderhouses or woven into a curious collage full of flowers and grasses. Often her days are spent dreaming up new ways to create and recreate in the barn housing her studio.